LaJoyce Chatwell Lawton is the Principal of Lawton International, a continuing education consultancy, based in CypressTEXAS, USA. A sought after speaker, Dr. Lawton has spoken on global and educational issues in Argentina, Austria, Jamaica, Bermuda, Swaziland, Lesotho and throughout the U.S at national/international conferences. She was the commencement speaker at BoleySchool (Oklahoma). Since 1975 Lawton has served as consultant to corporate, military and student personnel with overseas assignments. She provided Business English training to Japanese executives in Tokyo and Yokohama. She was featured on super station WGN’s “Minority Business Report”. Other media experience includes co-host “Creating the Future” and host/producer of “Oklahoma World View” on Cox Cable. Lawton completed Master’s level studies in Japan and England. She earned a Doctorate in Adult & Higher Education with an emphasis in Training and Development from the University of Oklahoma. Dr. Lawton’s dissertation topic was “An analysis on the effects of teamwork training on the proficiency of high performance teams in the international exhibit industry”. Dr. Lawton’s interest in teamwork was peaked when she had the opportunity to observe the initial brainstorming session of a team with members from all over the world, which provided the impetus for Sylvia Odenwald’s book Global Training. Her American Society for Training and Development experience consists of chapter president, regional conference planner and national committee chair. She’s participated in every aspect of trainer certification programming. Dr. Lawton has been engaged in university teaching for several years. Institutions include the University of Oklahoma, Indiana University (IUPUI), University of the Incarnate Word, Texas A&M University Kingsville-San Antonio, University of Texas at San Antonio and BelhavenUniversity. 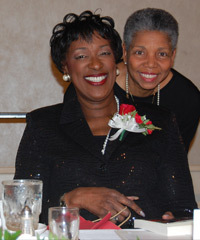 Lawton founded Oklahoma Women in World Trade and was instrumental in the establishment of Bermuda Women in World Trade, both Organization of Women in International Trade (OWIT) affiliates. Dr. Lawton also served on an Indiana Department of Education validation panel to choose competencies for international marketing classes nationwide. While serving on the San Antonio Export Leaders Council Steering Committee she helped select candidates for their leadership program. She was part of a team, which provided teacher education training in Southern Africa. Lawton was a member of the inaugural class of the African American Leadership Institute, sponsored by the Alamo City Chamber of Commerce. Her work has been chronicled in Global Training (Odenwald), The Change (Grupe) and Human Resource Management (Cowell & Boxill), all books exploring contemporary human resource issues. Lawton has been published in and has served on the editorial advisory board of professional journals. She has been quoted in Exhibitor, Tradeshow Week, Entrepreneur, Indianapolis CEO and Black Enterprise magazines. A partial list of clients includes: City of San Antonio, University of Oklahoma/Department of Human Services, Christus Health, International Executive Housekeeper’s Association, Eli Lilly and Company, Federal Express Corporation, Halliburton Company, Center for International Trade Development, Southwestern Bell Telephone, Federal Aviation Administration and Bermuda Employers’ Council.